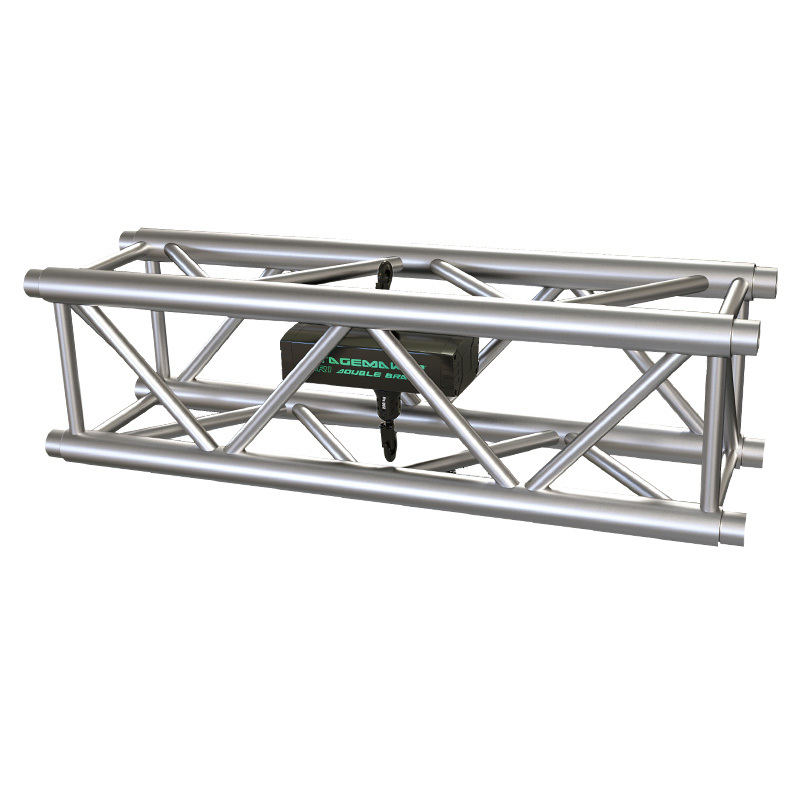 STAGEMAKER SR is a result of our vast experience in the entertainment market, along with well-established AR-GE and relationships with customers around the world. STAGEMAKER has an excellent world-wide reputation with more than 37 years experience in the entertainment handbag market. Our long lifetime, along with our impressive customer references, proves the credibility and creativity of our commitment to this market and our products. 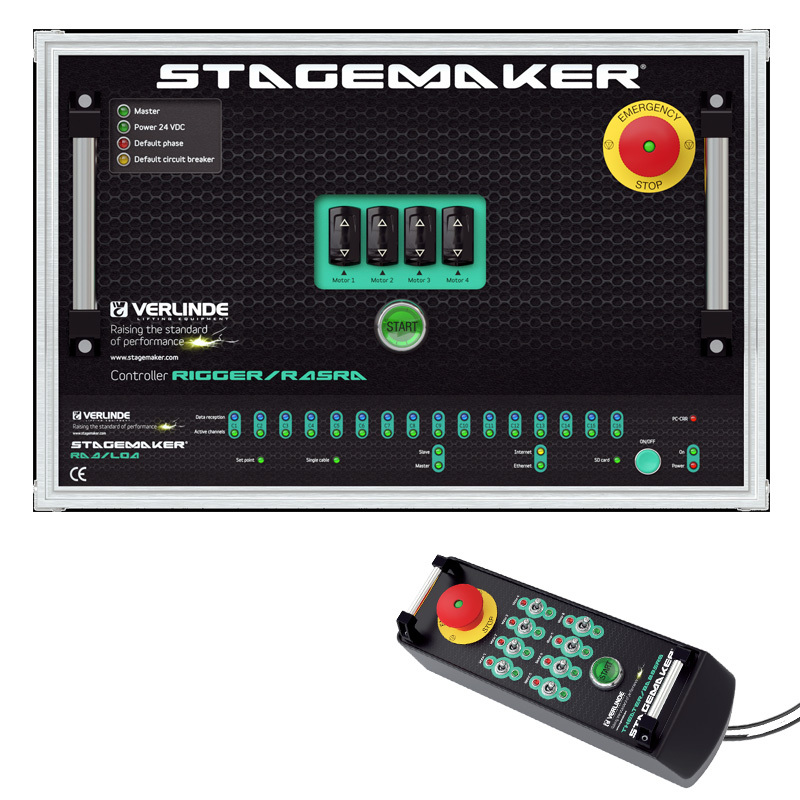 STAGEMAKER SR will further prove that Stagemaker increases the Performance Standard in the entertainment equipment market, with support for policies based on this category of innovation policy and ongoing development based on existing technologies. •	Standard double lift brakes for added safety. Stagemaker SR, D8 + is ready (after the nominal load is reset, it is divided into 2). •	Clutch concept. The clutch position on the gearbox allows the load to be held by the brake regardless of the machine's daily operating conditions. •	Electrical limit switch (except version A) as standard in all lifts. •	IP55 protection for the entire lifting device. 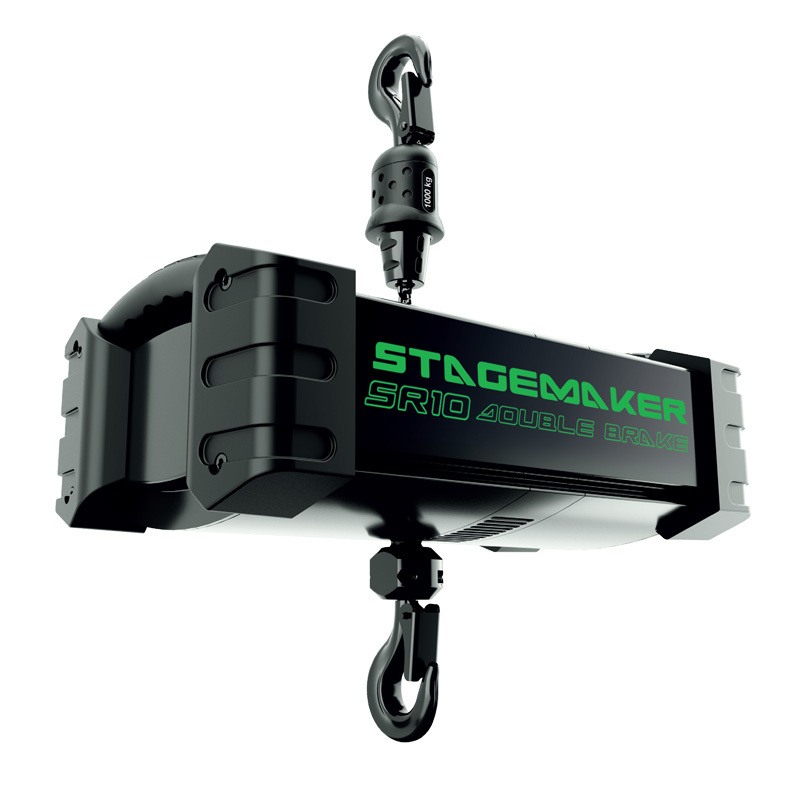 •	Black electro galvanized lifting chain specially produced for Stagemaker. •	Remove the motor as lifting thermal protection to prevent overheating. 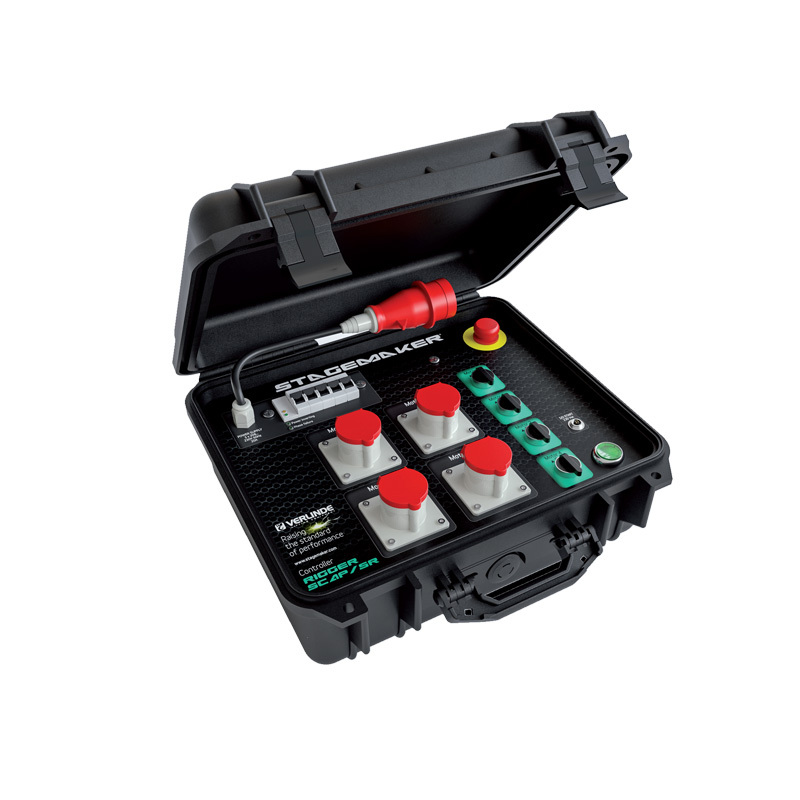 •	Operate the sound level up to 60 dB (test certificate available). •	The climbing elevator or industrial suspension configuration can be easily changed by reversing the chain containers. •	The chain tool provided with each winch. •	Rotate upper and lower hooks. •	1100 denier, high-capacity, high-strength chain bag manufactured from high-grade black fabric, removable and reversible. •	Easy access to torque limiter. •	Easy access to safety insurances. •	The new concept of the easily removable lifting motor. •	Easy access and removal of plug and play electronic cards. •	Easy visual access to the control for control. •	Due to the oval shape, the chain can not be stocked on the motor, which reduces the risk of chain stiffness. •	Designed with flowing and refined lines, it stands out with its solidity and on-board technology and leaves a strong impression of integrated safety. •	New stapling ensures better integration of STAGEMAKER SR in the working environment (lighting, speakers, etc.). 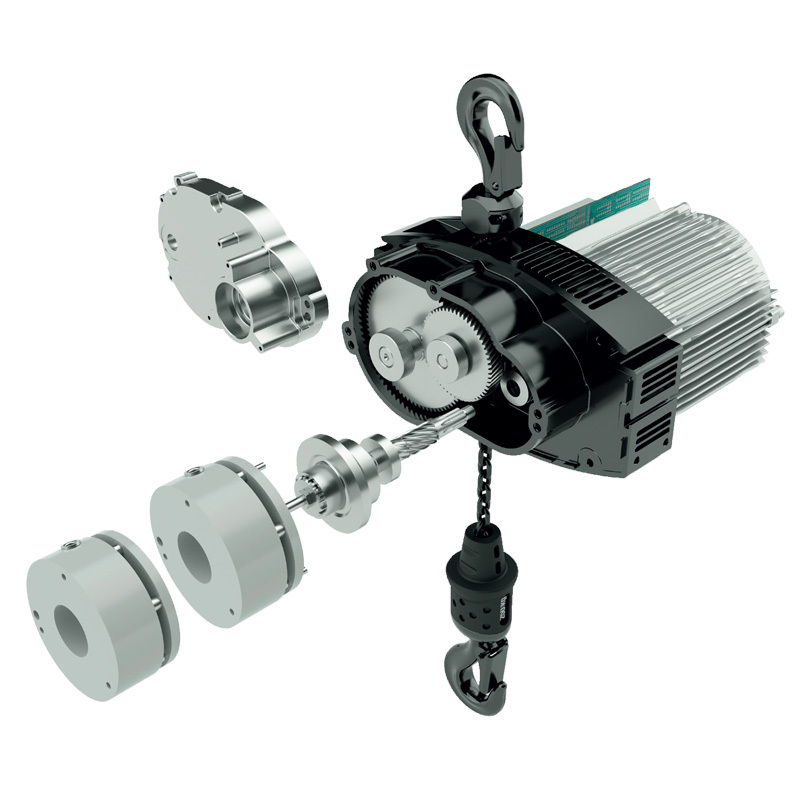 •	Hoist meets ecological regulations and is in compliance with RohS. •	The crane body is powder coated with black, protective 70 μm epoxy paint which can be carried out under the most difficult conditions (-20 ° C to + 50 ° C / -4 to 122 ° F). •	Lifting hook, ergonomic, rubber coated, grip surface. •	The new ergonomic concept for retractable, rubber-covered handgrips allows the vincin to be carried easily.